Recently launched onto Android is a somewhat simplistic-looking 3D motorcycle game called Night Riders 3D. 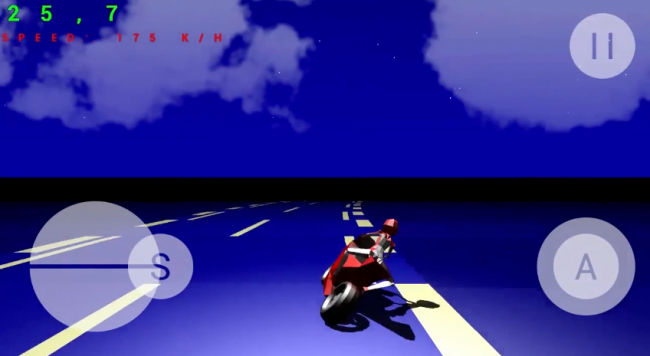 Using OpenGL, the developer puts you on the seat of a speedy bike, pitting you against other 3D racers. There isn’t much to look at on the various tracks, but the gameplay is quite smooth and the music is good. With easy touch controls, you tilt your vehicle either left or right while accelerating through tight corners. Like we mentioned, it’s simple, but plays great. You can try it out for free on Google Play and if you really like it, there’s a paid version for about $2.